Landscape architects and engineers are faced with multiple options when it comes to selecting the best material for their design projects. Today, we’re going to take a look at TAMKO’s line of composite decking, called Envision. Generally speaking, homeowners and deck builders, as well as some landscape architects, are familiar with Evergrain decking. Evergrain decking is one of four products under the TAMKO Envision decking products line we’ll discuss below. Today we're going to discuss pros and cons of two different materials that can be used for commercial boardwalk projects: Ohio Gratings and PermaTrak's concrete boardwalk system. Ohio Gratings, Inc. designs and manufactures products used for non-boardwalk applications for several industries including industrial, material handling, bridge and transportation, and material handling. 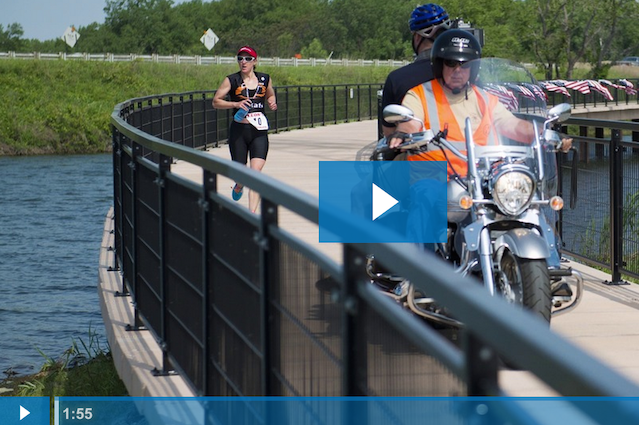 However, for the purpose of this comparison we'll be specifically looking into parks and recreation, commercial trails and pedestrian bridge applications. As we've said before when comparing boardwalk materials, this article is not meant to "bash the competition." Rather, it's intended to help you decide which boardwalk material is best for your project. I wanted to discuss a topic that comes up often with landscape architects or engineers: composite decking. Specifically, we're going to dive into the pros and cons of Trex - the company and the decking materials they offer. 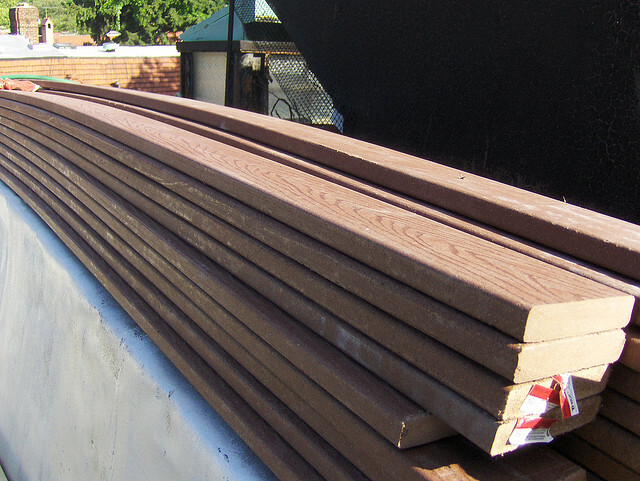 Trex is the most well known wood-composite decking material on the market, and for good reason. The company controls ~35-40% of the composite decking market, using plastic bags to make the boards. 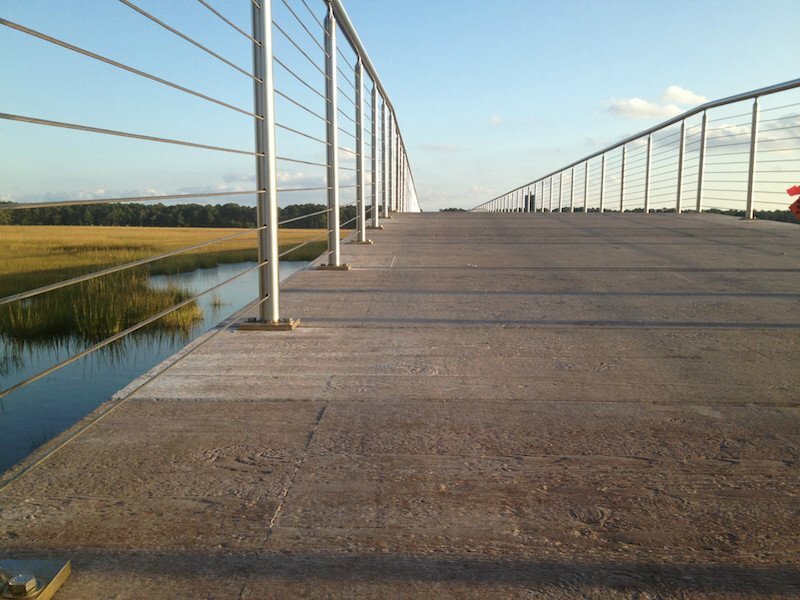 If you have experience designing pedestrian bridges, trails, elevated boardwalks or fishing piers, you're probably already familiar with Trex. Today I want to share some lessons learned in the boardwalk industry to help you develop a deeper understanding of Trex's wood-composite decking. We have found that our PermaTrak concrete boardwalk is a great fit for about half of the projects ideas we're approached with. The product can be cost-effective, save thousands in maintenance dollars and withstand heavy use over the long haul - but the project must be a good fit. You might be surprised that this article is not meant to "bash the competition." Rather, it's intended to help you decide which boardwalk material is best for your project. It's intended to help you find that "great fit" between your project and the product/company you choose. Determining if Trex or PermaTrak is the right product for your project can be a lengthy evaluation - the answer depends on your project site, client needs, budget, timeline, engineering support, intended boardwalk usage, method of construction, and about 20 other factors! Probably the most important factor to consider among all of these: commercial product versus residential product. Upfront you should know PermaTrak is best suited as a commercial product - watch this video to learn more about this. In an effort to help you determine which material is right for your boardwalk project, you'll find a detailed comparison of Trex's composite wood decking products and PermaTrak's concrete boardwalk system below. Without a life cycle maintenance analysis, how do you know if the product you specify makes for a smart investment? An investment takes into account the long-term implications of using the product: how it performs over time and how much ongoing maintenance it will require for the product to function as designed. This applies not just for boardwalks- but for splash pads, benches, railings, playground equipment, etc. 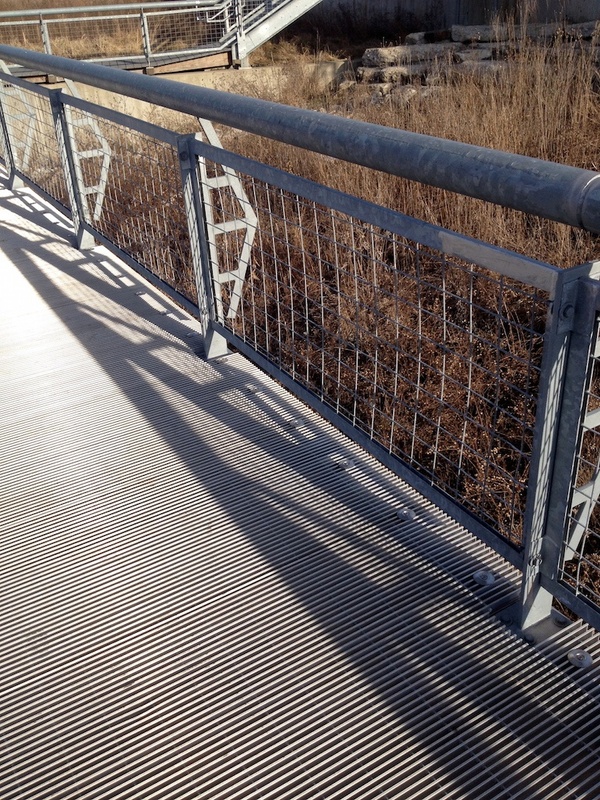 When these products are specified for commercial park or trail projects, designers who perform the research and analyze the life cycle costs are creating a value for their clients. 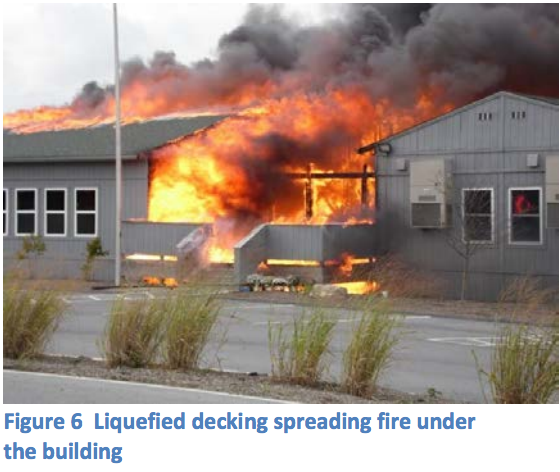 When it comes to the big three commercial boardwalk materials (wood, composite decking and concrete), the competition is steep. We realize it can be difficult to find reliable information through the plethora of sales pitches, discussions at trade shows, online or print ads. Sugarcoated or incomplete information can make more work for designers or owners researching their boardwalk or pedestrian bridge options. A landscape architect or civil engineer has a variety of product choices when designing trails and multi use paths. As with any design project at the conceptual level, successful landscape architects and engineers will consider their client’s site features, environmental factors, and the overall intended purpose of their trail or path. And probably most importantly, their client’s budget! Whether you fish every weekend or just occasionally, you know that not all fishing piers are created equal. Sometimes visiting an observation or fishing pier can less than ideal with unstable pile supports (see picture below) or cracking boards providing sharp wood slivers. The pier may also have a slippery surface after it rains or a hot and unforgiving railing to sit or lean against.